You’ve likely seen it before. The proud sticker beaming Certified Organic. Does it make you look twice when found on labels and packaging? Certification for food takes a spotlight for a few reasons. The need for the best available in health products remains the main cause consumers choose one product over another. In terms of chaga, the word organic is fundamental as a descriptive, and central to its core. From time to time our health requires more attention. When illness, cold and flu and general feelings of lethargy attack, we become more aware. Sadly, at times, we ignore overall health. Assistance via a supplement is a great comfort to those whose nutritional intake lacks. Devoid of essential vitamins and minerals in our diet can lead to greater issues. This absence is not always our own fault, however. Poor diet, and poor planning can result from increased day to day demands, environmental issues, and simple a change in daily pressures. These things are not always under our control, but we can begin to identify things which hinder us. Consequently, we look to natural supplements. Assistance that have an affinity with, and those which are born from the earth are best. Chaga offers this best premise. Likely the reason chaga has seen attention like never before, is due to its naturally derived and organic presence. Chaga products offer all good and no bad. A true wild food source is difficult to find. Laboratory grown seems to be the way manufacturers look at the future of food. For those who grew up knowing what fresh foods was, this seemly completely alien. Surely, food is not grown in a lab? Reality suggests that mushroom extracts in particular are likely to be found along the white coats. Wanting the best naturally found supplementary health products is something to strive for. And why shouldn’t we. We expect the best from many aspects of our lives. Schooling, professional advice and job satisfaction all take centre stage. Our health deserves the same. Choose the chaga you know is gown in the wild and harvested by the best for the best end result. Consumers have the final say, deciding what to spend their money on. Foods grown without tampering certainly take a larger percentage of our dollar than previously. Self-education would be one reason for this change. Higher awareness on the consequences of altered foods and chemically enhanced produce would be another. Complementary health products also take the spotlight. While many will not have the patience to brew chaga tea on a daily basis, they may find capsules, teabags or tablets a more convenient form. The end result is people self-educate enough to know how import research, and discovery is. This is such an important topic that more and more people spend hours online looking for reputable suppliers. Chaga is the best from the Earth. Chaga is a naturally formed parasite hitchhiking on the birth tree. The cooler Norther hemisphere climates are most suitable, along with the air quality surrounding these majestic trees. Chaga, harvested from these trees is an organic substance. There is no artificial means by which chaga is grown. Real chaga is not grown in a lab, and is not artificially produced by any means. If you are seeing this kind of chaga offered, it is not the product to consume. This naturally occurring wonder is the epitome of an organic wonder. Left to its own devices, without human or chemical interference, it will remain organic and wild. It must remain untainted to be considered wild or organic. Organically grown foods and naturally discovered plants are nothing new. For centuries people grew vegetables and herbs, likely by trial and error at first. The ultimate in organic occurs when there are no pesticides and other chemicals used. They simply didn’t exist. For those in previous civilizations, the food grown, and hunted wall all there was. Man has created all the things we now fear, in terms of food health and contaminants. Of course, in past days, the environment had its naturally occurring poisons. The people only made the mistake to consume them once. We seem to be happy to poison our food on a regular basis. Ok let’s play the devils advocated. Organic is great, but aren’t pesticides needed? The amount of food produced to supply he world’s population does need to be preserved. The continued role of pesticides as a protector is debatable. The main argument seems to be how we preserve foods from spoiling without resorting to chemicals which harm everything from the soil upward. To put it into real life scenarios is to see what these chemicals are, and what the health issues caused. The elimination of herbicides and pesticides to reduce serious illness is at the hearth of the argument. Some studies have shown that young children and unborn babies fare the worst for modern day intervening. Its worth doing a bit of research to ascertain what is used, for how long and the things we can expect in terms of concerns in the future should the practice continue. Products like chaga and other naturally forming health supplements will always be around as long as the attention and awareness remains. Organic is best, there is no argument there. Local growers and markets prove people change their consuming habits when offered a choice. There really is not that much difference between wild and organic. All chaga should be left to grow naturally and be harvested with the best intentions, respect for the mushroom, and the consumer. Supplier choice is extremely important. Not every seller is committed to providing the best product coupled with information and great service. The quality should speak for itself. 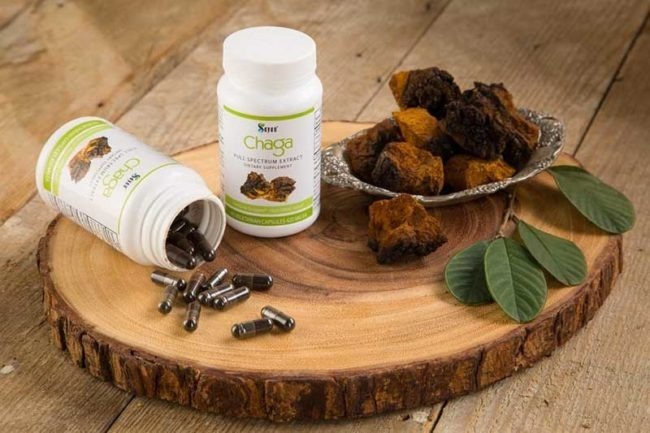 FDA approved chaga products go through a process to ensure consumer safety. We can seek comfort that the best suppliers are prepared to stand up to the scrutiny applied for such important health related products. A reliance on prescribed medications, is not ideal when looking at long term health goals. Where these medicines are needed we can mitigate any bad by adding some good. Bigger better faster. That is generally the motives behind altering growth patterns and the natural or of grown food, especially meat, fruits and vegetables. The fact is, most people are happy to have smaller tomatoes, and reasonably sized poultry if known they have had a natural, healthier life. The main point to consider is not what is wild or what is organic. Focus on either, whichever you can find from a reputable supplier. Fears of artificial chaga becoming mass produced concerns all chaga lovers. This affects the future availability of our natural, health giving products now, and into the future. For those just starting out with chaga, your canvas is a blank one. You have the good fortune to start without anything holding you back. Choose chaga with a view to improved health, removed of intervention of the worst kind.